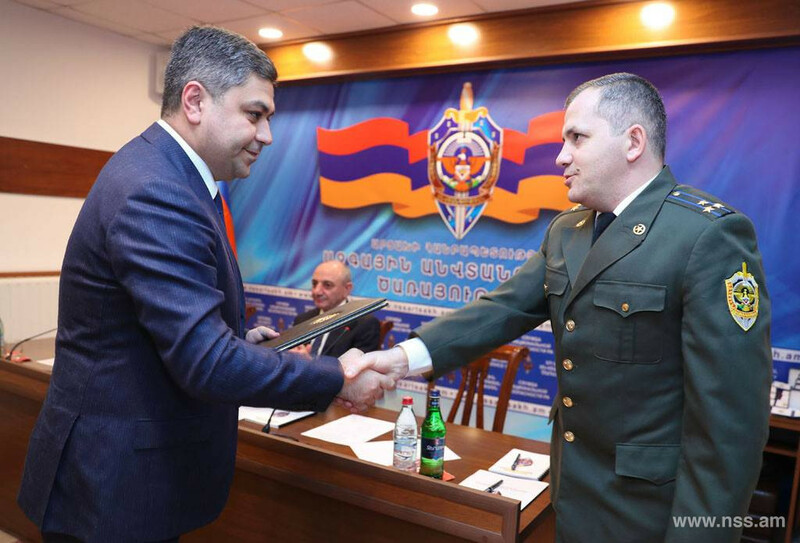 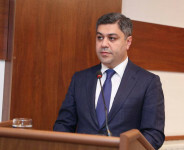 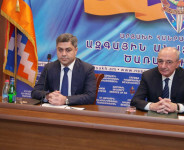 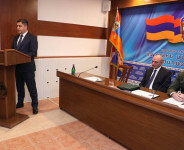 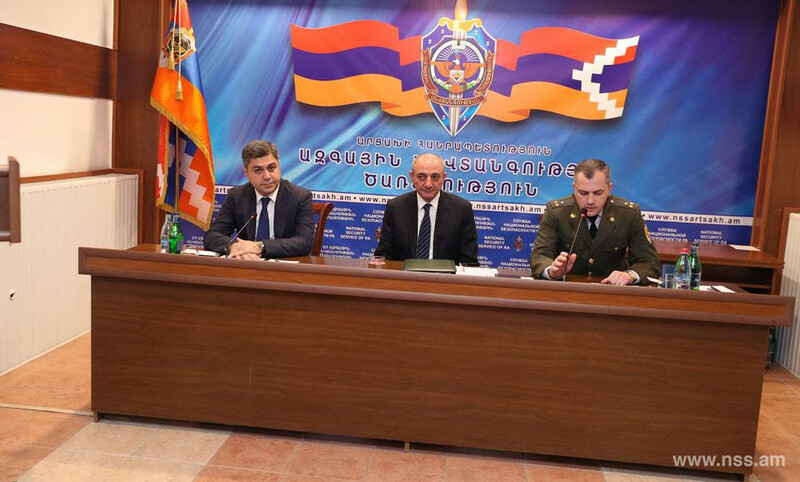 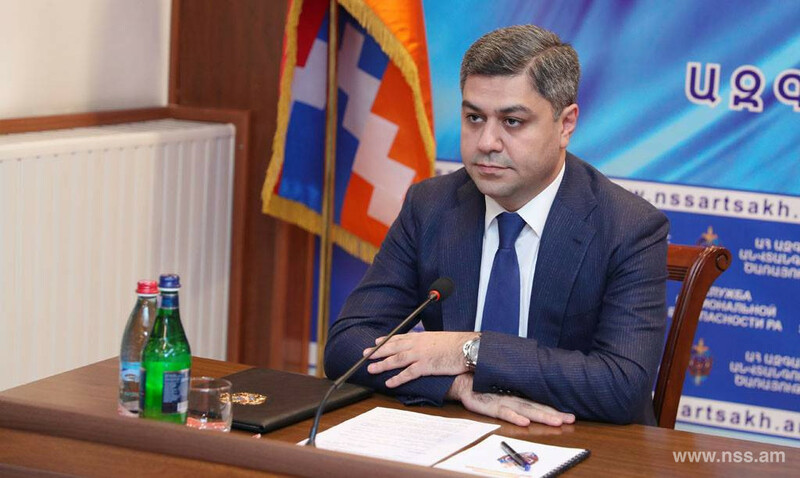 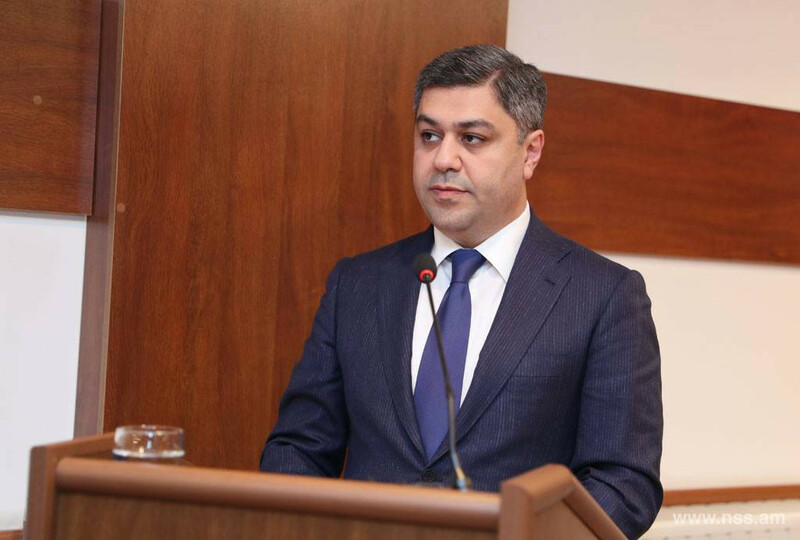 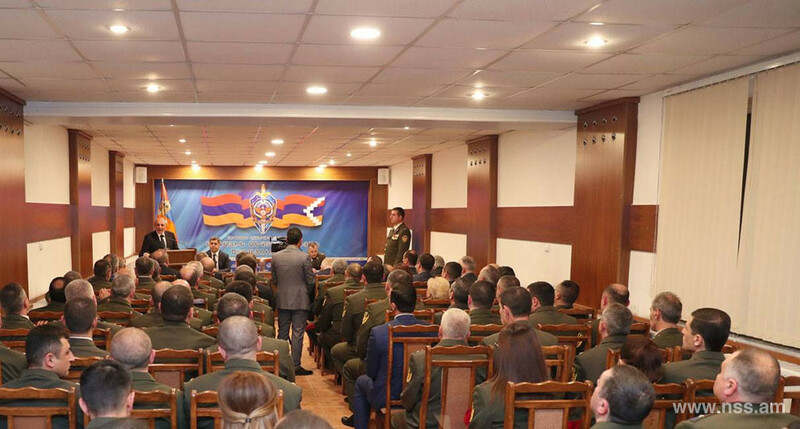 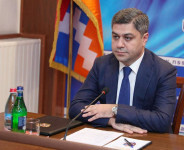 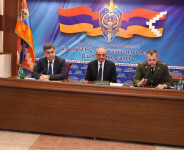 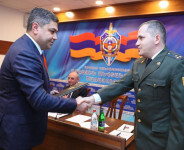 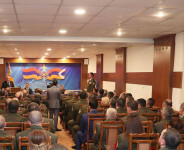 On December 22 the delegation of the National Security Service of RA led by Director Artur Vanetsyan was in the Artsakh Republic for two-day working visit. 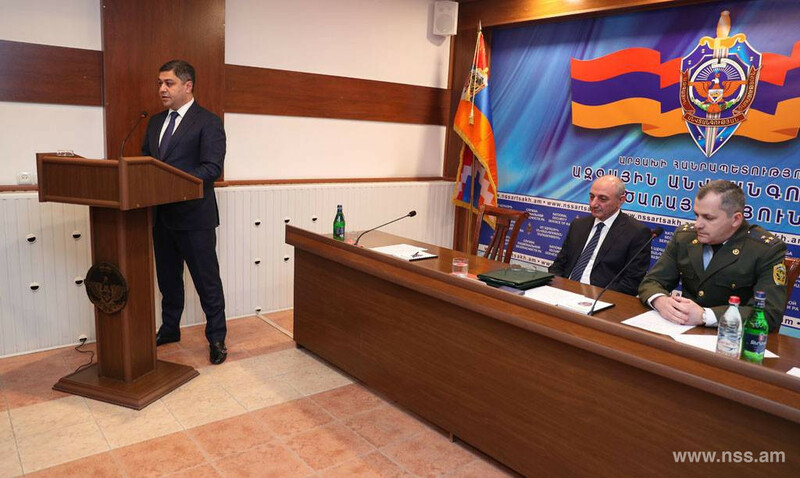 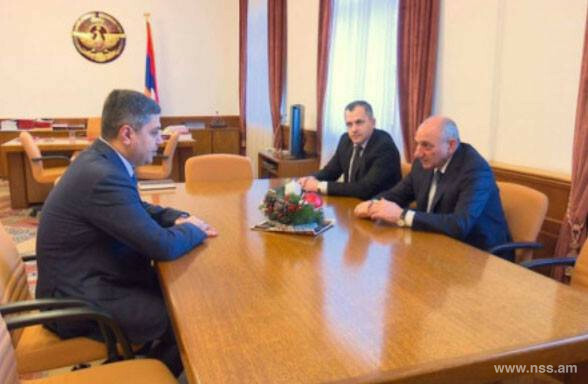 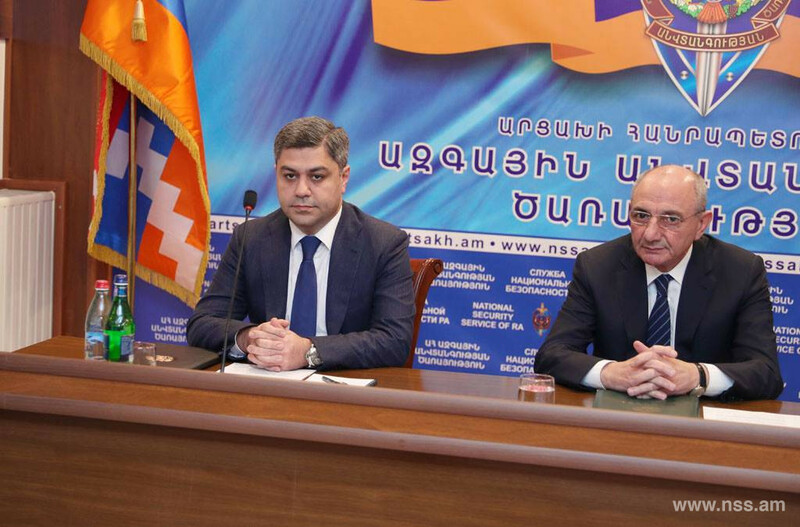 In the course of the visit director had an official meeting with Bako Sahakyan, President of the Artsakh Republic, and Samvel Shahramanayan, Director of the NSS. 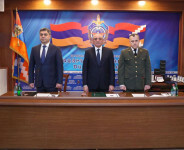 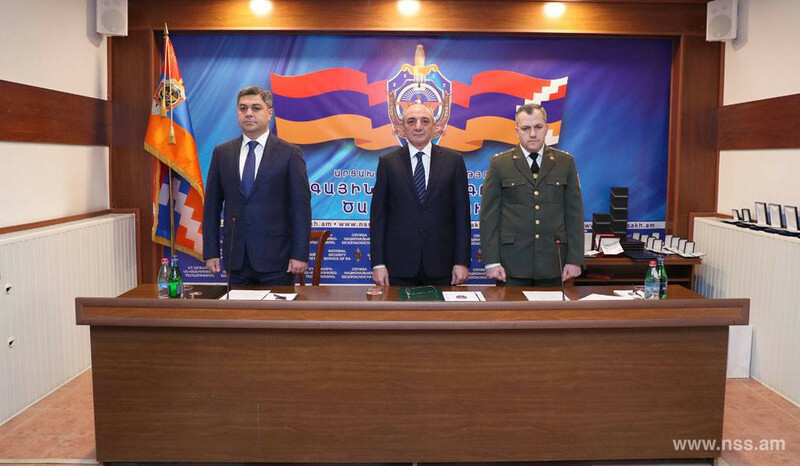 Issues related to cooperation of two Armenian States in the field of security were discussed during the meeting. 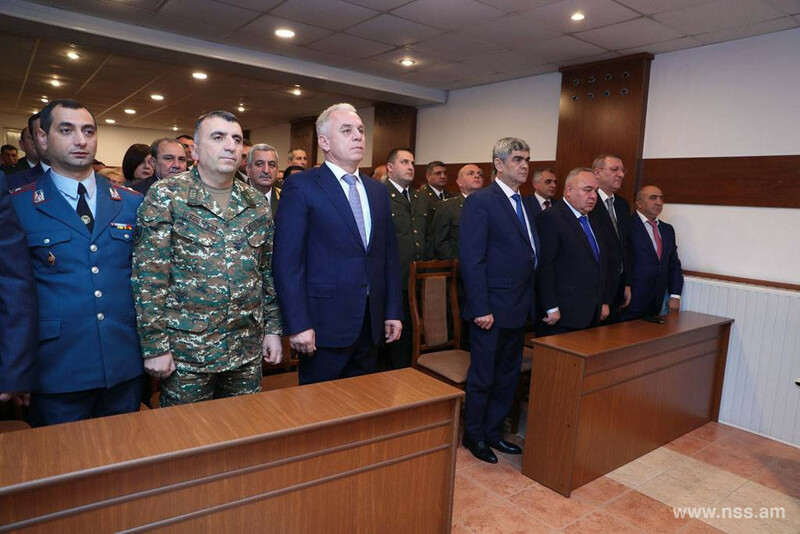 The delegation of the National Security Service of RA participated in ceremonial session on the occasion of professional holiday of the NSS of the Artsakh Republic. 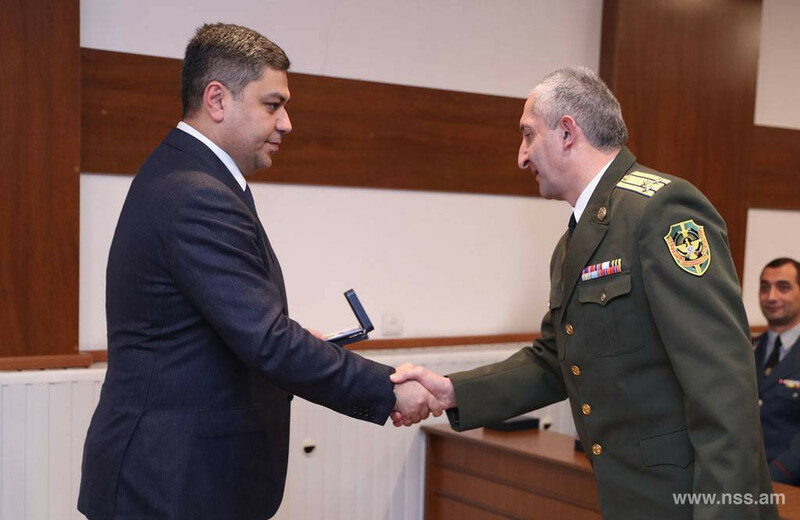 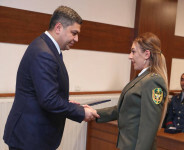 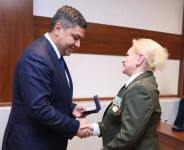 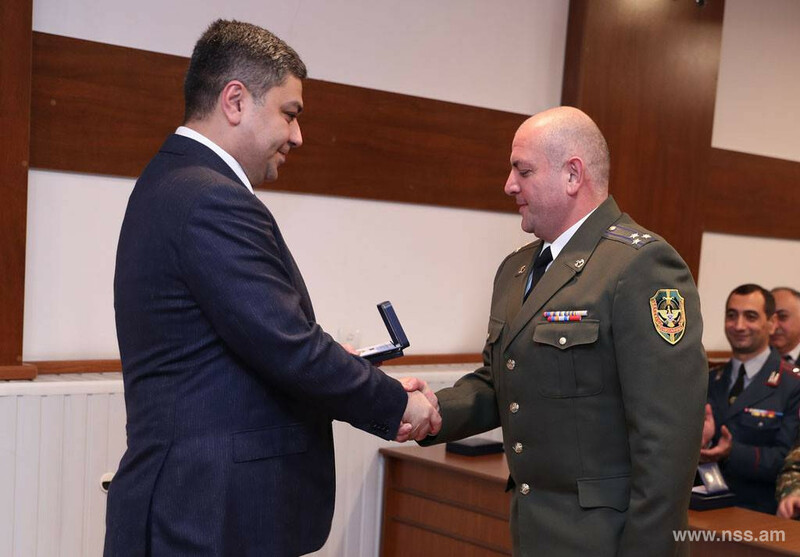 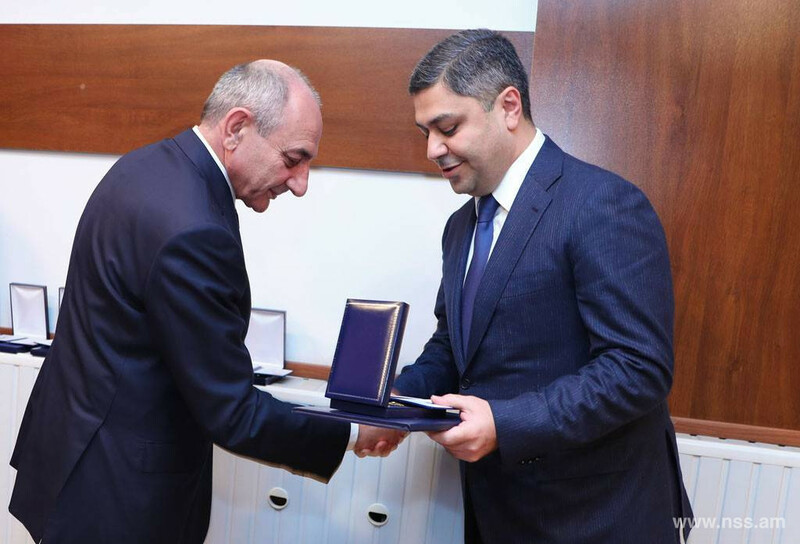 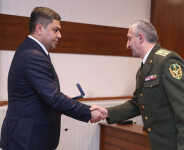 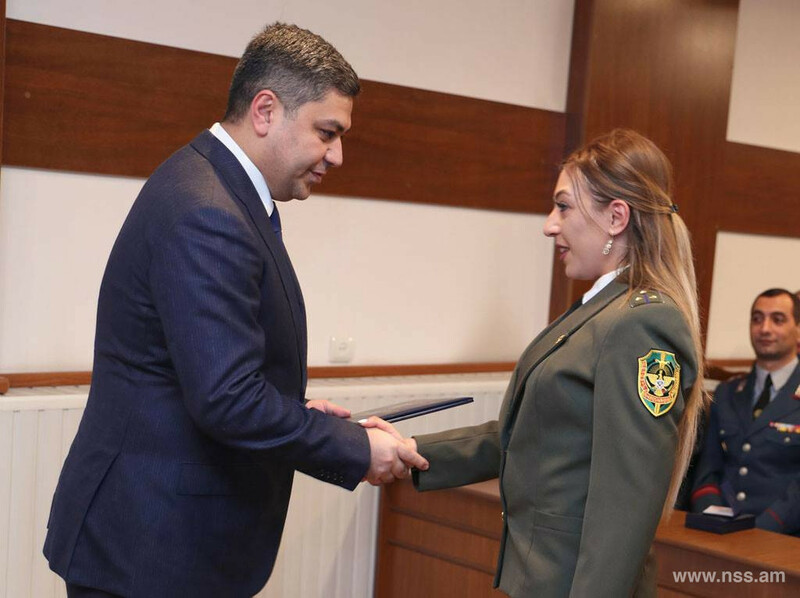 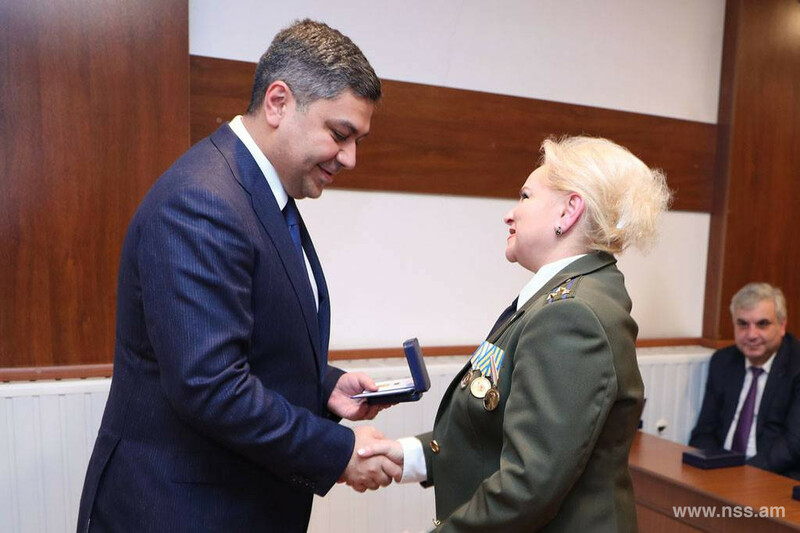 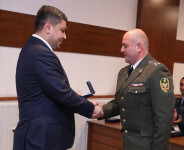 A.Vanetsyan awarded a number of officers of the NSS of the Artsakh Republic for high professional commitment, for achievements while performing official duties as well as on the occasion of professional holiday. 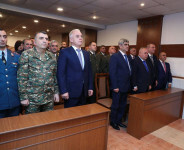 Once again congratulating on the occasion of the professional day of the officer of the National security Bodies, the director wished productive service to the whole personnel.